Vicon Motus has been the leading 2D and 3D video based motion analysis system for many years. Today many scientists around the world continue to use Vicon Motus (formerly known as Peak Motus) for their research and teaching purposes, because the algorithms are validated and well-known in the fields of medicine and sports sciences. In recent years, many new camera technologies (GigE, USB, HDV) have become available and with Vicon Motus 10 these technologies can now be used with Motus, too. Vicon Motion Sytems and CONTEMPLAS started a new cooperation in order to combine the power of a well-established analysis tool (Vicon Motus) with state-of-the-art video capture capabilities (CONTEMPLAS TEMPLO) for users around the globe. CONTEMPLAS TEMPLO is used as a capture engine. TEMPLO can record 6 or more high-speed/high-resolution cameras, synchronized with force platforms, EMG or other analog data. The acquired data, including AVI files and meta-data, can then be easily transferred to Motus with a few mouse clicks and in almost no time. 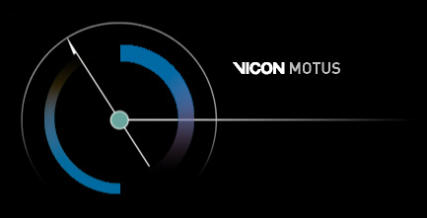 Vicon Motus motion measurement system is easy to learn, use, and teach. TEMPLO is not only a capture engine. It provides instant video feedback, zooming, drawing and reporting tools. It can display video footage together with force data and other analog data, such as EMG. You may display a 3D force vector overlay on the video images, stroboscope and 2D measurements (angles, distances etc.). Read more on TEMPLO video analysis features. Motus is a modular system for 2D and 3D analysis. Read more on Motus motion analysis modules. TEMPLO + Motus 10 is exclusively available through CONTEMPLAS, which has taken over the global distribution. Motus 10 is not available as a single piece of software and has to be purchased with TEMPLO directly from CONTEMPLAS. All sales and support queries should be directed to CONTEMPLAS. If you are interested in the TEMPLO+Motus 10 solution or would like further information contact CONTEMPLAS sales. Is TEMPLO a mobile system?